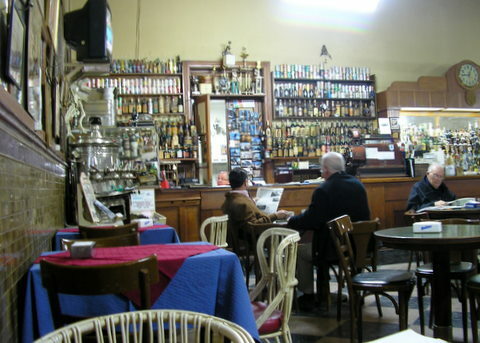 The Touring Club is on Argentina's registry of historic buildings and a Trelew institution. It was constructed in 1898 and has been in continuous operation with, what looks like, never a restoration. Through the 1930's it remained one of Argentina’s most luxurious hotels. Today the WI-FI is free and available all the time, even for customers in their famous café. The hotel is dark with a faded elegance but old large comfortable rooms are a bargain. The double is AR$120 (US$33/night). 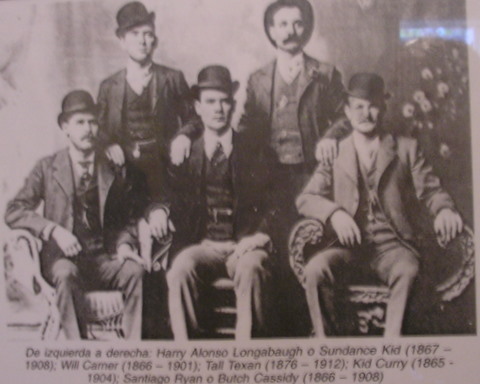 The Touring Club played a part in American wild west history. 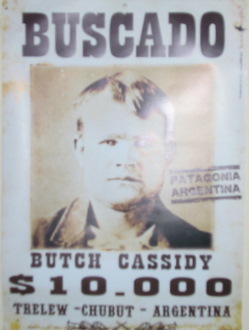 Butch Cassidy, the Sundance Kid and Etta Place, after fleeing the United States, bought land and established a ranch in western Patagonia near Los Antiguos. They lived peacefully for nearly three years, becoming respected in the area. They stayed at the Touring Club when they would come to Trelew on ranch business. 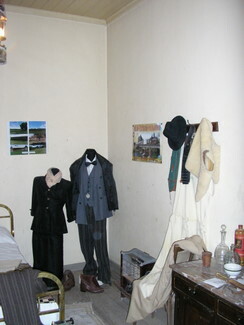 After the movie’s success, the hotel turned the room they used into a museum with original furnishings and memorabilia including an original “wanted” poster distributed by the Pinkerton Company which had the contract to track them down. 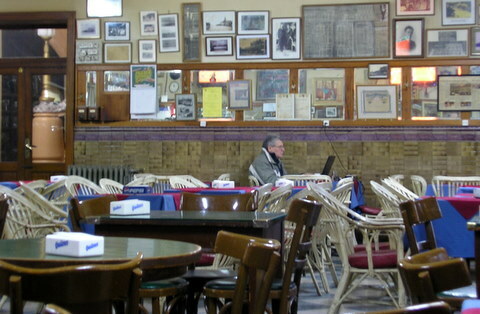 The Touring Club Café is either in desperate need of renovation, or, in the opinion of its sizable number of regulars, faded 1898 elegance and dusty industrial fluorescent lighting is Old Patagonia.. The café is open from 7:00 am to midnight, and serves excellent espresso and a limited number of sandwiches - the ubiquitous ham-and- cheese or salami-and-cheese, a decent burger and a melinase. It's the laid back comfort factor, and the free WI-FI, that makes it beloved by everyone from students to retired men to expensively dressed business people. 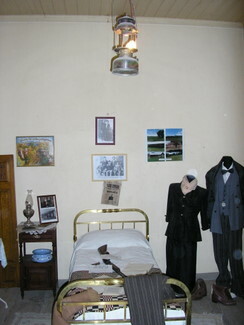 Memorabilia from the past 110 years is everywhere, on the walls and cases including photos of famous customers from Antoine de Saint Exupéry to Argentine Presidents. Aviator pioneer Antoine de Saint Exupéry was instrumental in establishing the first airmail service in Patagonia. In his beloved book, The Little Prince, there are distinct geographic references to areas in Patagonia. 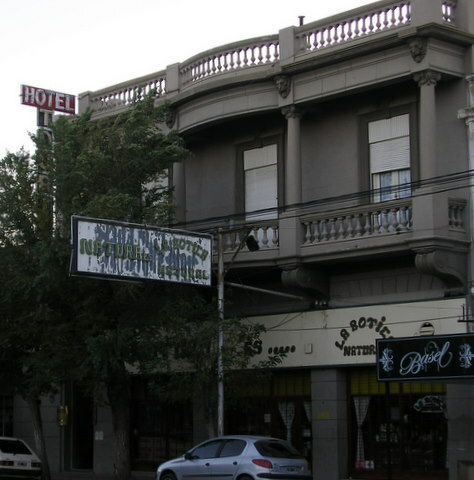 Trelew's hotels are not inspiring, unless you want history in a faded gem. 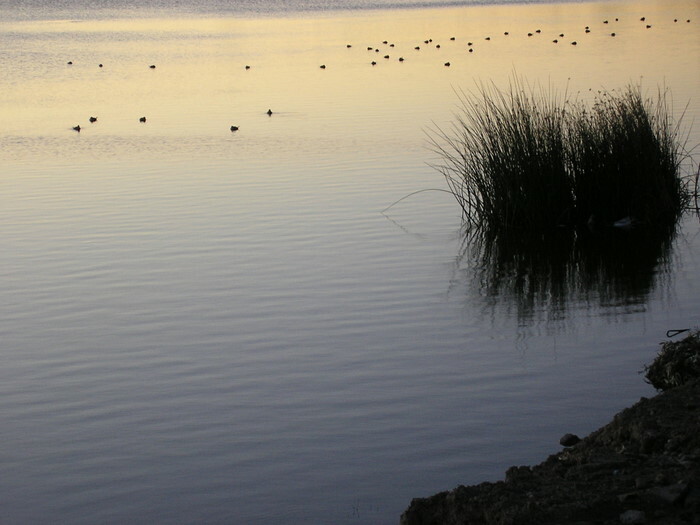 Besides the Hotel Rivadavia and The Touring Club, there are only a few more choices. The Hotel Libertador, Avenida Rividavia 31, looks business institutional - rates AR$200/double (US$54.00). They say the City Hotel, Avenida Rividavia 254, is spotless. 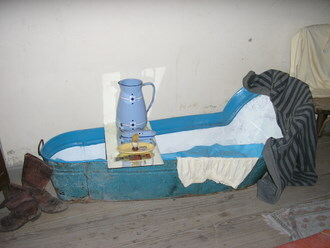 But the hotel lacks any charm on the exterior - rates AR$160/double (US$43.00). The Hotel Galicia, Avenida 9 de Julio does look promising with a polished Old World charm. Doubles run AR$160 (US$43.00). Although clean, centrally located, and at AR$120 (US$33/night), inexpensive, at Hotel Rividavia I experienced a couple of conditions I found unacceptable. The typical Argentine continental breakfast was not included in the price and what was being served was of a low quality. That did not bother me. Supplying an adequate quanity of hot water in the shower is a basic requirement of any accommodation, at any price, and that simply was not available no matter what time of day. The hotel advertised WI-FI, as well the use of a computer in the lobby. (The lobby TV was on at least 18 hours a day.) Yet for some odd reason that was never adequately explained, the lobby computer was available for only a few hours a day and the WI-FI modem was frequently switched off. Repeated requests to turn it on were rebuffed for unexplained reasons until one day I insisted and it was activated.